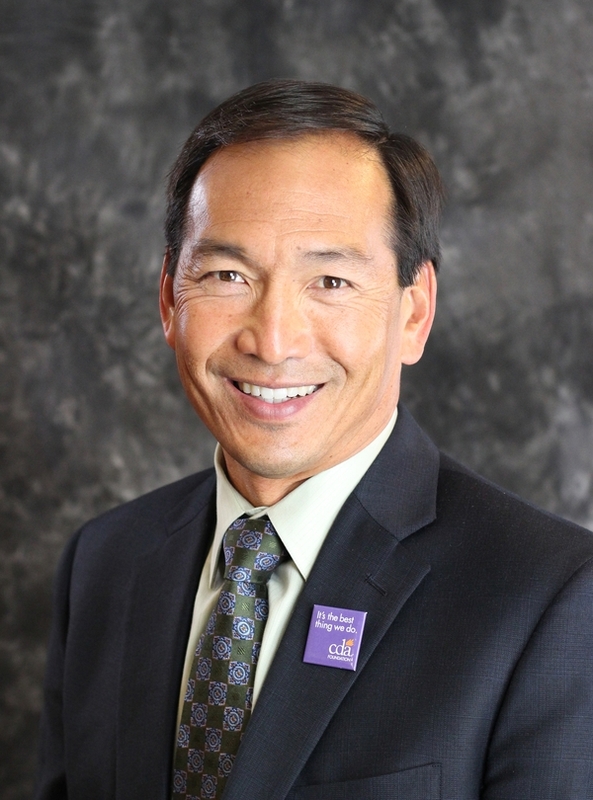 Stockton dentist, Dr. Bradley Louie, and his team were voted Best of San Joaquin three years in a row! "It's a blessing that our patients have given us this honor again in 2011!"
. "It is an honor to lead this organization in its mission to improve the community's oral health and promote high professional standards. Working with dentists across the state that have the same passion for dentistry and its service to the public has been very rewarding. It is refreshing to be surrounded by so many energetic and positive individuals giving back to their profession and community." When you visit Stockton dentist, Bradley C. Louie, DDS, you can feel confident that you are receiving the highest quality dental services available. In 2014 our patients enjoyed the benefits of the new Schick 33 Sensors providing us with the best imaging available in digital x-ray. We continually update our materials and procedures through continuing education programs and reading respected journals. Using proven techniques, materials and up-to-date technologies such as digital x-rays and diagnostic lasers to detect tooth decay, Dr. Louie and his staff strive for excellent care and results. Since our Stockton CA dental office was remodeled in 2008, patients have continually mentioned that they enjoy the atmosphere. There is a garden view from every room, as well as an open view of the sterilization area. The entire staff is dedicated to making sure our dental practice is a comfortable environment for families. Part of the commitment to serving patients includes providing information that helps them to make more informed decisions about their oral health needs. Stockton dentist, Brad Louie, DDS, spends important time during each patients appointment thoroughly explaining each aspect of the procedure. Read more about our Family Dental Services as well as how we strive to create a comfortable and relaxed atmosphere in our Gentle Dentistry office. At our Stockton dental office, we do more than just fix your teeth; we help to create Healthy Smiles For Life! View Our Dental Treatment Videos! Dr. Bradley C. Louie, DDS has been recognized as one of the top Stockton Dentistry practices. Stockton Dentist, Dr. Bradley Louie is dedicated to family dentistry such as Teeth Whitening, Veneers, Makeovers & more from our Stockton CA Dental office.